Linen Aida 20. Raw  - $67.90 : Yarn Tree, Your wholesale source for cross stitch supplies. Item 7536. Raw (53) Linen Aida 20 count. 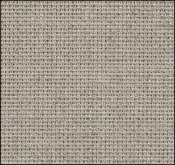 100% linen woven with the aida weave. Similar in shade to DMC 3782, but has an oatmeal-type appearance; a very popular color. 36" x 43" cut. (Zweigart 3456). All the products sold by Yarn Tree are available wholesale to needlework stores. Standard wholesale discounts apply off prices shown.